If you’re the sort of person who pays attention to liner notes, you’ve probably seen the name Albert Lee pop up so many places that you think that it can’t possibly all be the same guy. Could the guitarist who recorded and toured with Eric Clapton really be the same one who played with Emmylou Harris’ Hot Band, and who played with the Everly Brothers for their Albert Hall reunion show (and stayed on for 26 more years), and who also shows up on recordings by Joe Cocker, Jackson Browne, Bill Wyman, Chris Farlowe, and Deep Purple’s Jon Lord? Well, it is the same Albert Lee who did all these things, and more. And somehow he has also found time to lead his own smokin’ hot bands over the years. This interview was for a preview article for noozhawk.com for Lee’s 8/19/17 concert at the Lobero Theatre in Santa Barbara. It was done by phone on 7/31/17. 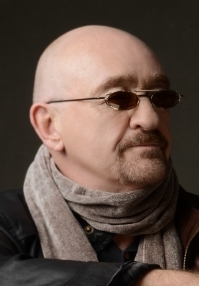 Guitarist/singer/songwriter Dave Mason was a co-founder of the English psychedelic/folk rock band Traffic, and he stuck around for their first two albums, the second of which contains his original version of “Feelin’ Alright”, a song that became a huge hit for Joe Cocker. Mason also had a notable solo career, with albums including his 1970 debut Alone Together and 1974’s Let It Flow. Some songs from Mason’s solo career are “Only You Know and I Know”, “We Just Disagree”, and “Let It Go, Let It Flow”. As if all this wasn’t enough, along the way he also worked with other artists including Jimi Hendrix for his cover of Bob Dylan’s “All Along the Watchtower”, George Harrison for his first album All Things Must Pass, Paul McCartney for “Listen to What the Man Says”, and much, much more. 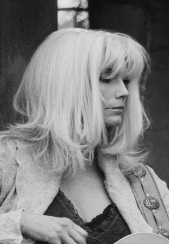 Emmylou first made waves singing, touring, and recording with country-rock pioneer Gram Parsons for the two years before his untimely death, including on his solo albums GP and Grievous Angel. She then launched an acclaimed solo career which has won her Grammy awards, Gold Records, and the hearts of fans for over four decades. Mixed in was the smash hit Trio album with Linda Ronstadt and Dolly Parton, and her heavenly harmony vocals on recordings with artists such as Bob Dylan, Neil Young, Willie Nelson, George Jones, Lucinda Williams, Leo Kottke, Steve Earle, and Guy Clark. She was inducted into the Country Music Hall of Fame in 2008. 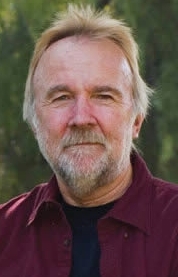 Herb Pedersen has contributed his instrumental and vocal talents to recordings and performances by a wide range of artists over the years, including John Denver, Kris Kristofferson, Linda Ronstadt, Jackson Browne, Emmylou Harris, James Taylor, and many, many more. 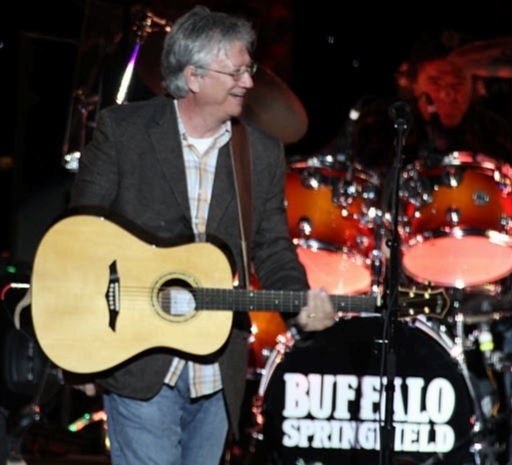 His band memberships have included bluegrass powerhouse The Dillards in the late Sixties and early Seventies, and the Desert Rose Band with ex-Byrd / ex-Flying Burrito Brother Chris Hillman. This interview was for a preview article for the 5/3/15 performance by Hillman and Pedersen at the Plaza Playhouse Theater in Carpinteria, California. It was done by phone on 4/22/15. 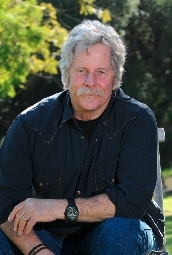 Chris Hillman has been a professional musician for nearly fifty years, starting on bluegrass mandolin before he joined The Byrds, for which he played bass guitar and contributed vocals. You can hear him on hits including “Turn! Turn! Turn!”, “Eight Miles High”, and “So You Want To Be a Rock ‘N’ Roll Star”, which he co-wrote. Hillman left The Byrds after their landmark album Sweetheart of the Rodeo, joining up with Gram Parson (who also played on that album) to form The Flying Burrito Brothers, whose classic debut album The Gilded Palace of Sin featured many songs that he wrote or co-wrote with Parsons. Hillman was also a key member of the band Manassas with Steven Stills, and had multiple country hits with the Desert Rose Band. This phone interview took place on 4/11/12, and formed the basis of a preview article for his 4/25/12 show with Herb Pedersen at the Maverick Saloon as part of the Tales From the Tavern series. Incidentally, this interview was transcribed approximately eight miles high, on a flight between St. Louis and San Francisco. Richie Furay is best known for co-founding two notable bands: Buffalo Springfield, which is in the Rock and Roll Hall of Fame and for which Furay was one of the primary songwriters along with Neil Young and Stephen Stills, and Poco, which is regarded as one of the pioneering bands of the country-rock genre. After leaving Poco in the early 1970’s, Furay was in the short-lived supergroup Souther-Hillman-Furay, and has since released several solo records. His song credits include “Kind Woman”, “A Child’s Claim To Fame”, “Hurry Up”, “Keep On Believin'”, “You Are The One”, and “Let’s Dance Tonight”. Furay answered these questions by email on 1/5/12, and this interview formed the basis of a preview article for his 2/1/12 performance at the Maverick Saloon in Santa Ynez, California.